Last year, Eldarion won a contract to build the next-generation online reading environment for the Perseus Digital Library. Conceived of over thirty years ago, Perseus has been one of the most important tools for scholars, students, and hobbyists interested in classical texts in Greek and Latin. The site receives millions of visitors a year. Over the almost ten year history of Eldarion, we’ve worked on a lot of really interesting projects that combine our development expertise with the domain-specific knowledge of our clients in areas we know very little about. But occasionally we work on projects that, not only involve our programming skills, but which draw on our own activities and interests outside of work. For me personally, working on the Perseus Digital Library is about as perfect an example of that as possible. Those of you who know me may know that my academic background is in linguistics and that I have been doing corpus work with Ancient Greek on and off for 25 years. But, until the RFP was announced to build version 5.0 of Perseus, I didn’t think that side work would overlap much with my “day job” as a professional web developer. But as Professor Gregory Crane, co-founder and editor-in-chief of the Perseus Digital Library remarked recently, “James has been preparing for this project for twenty years—he just didn’t know it”. A small team within Eldarion has been busily working on the project to get it ready for an initial launch on March 15th. This date commemorates the untimely passing ten years ago of digital classicist Ross Scaife. The reading environment is being named “Scaife” in his honour. 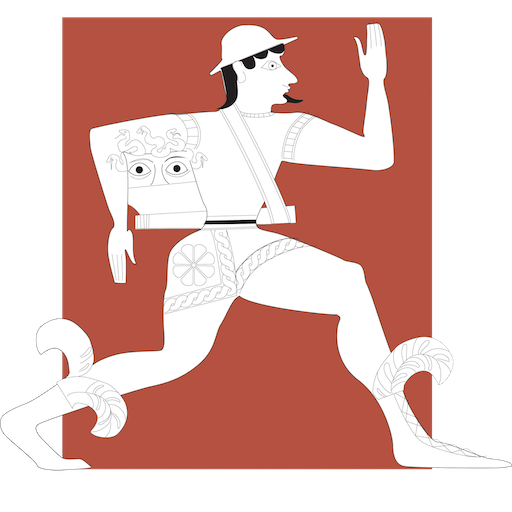 The Scaife reader builds on the existing Perseus Digital Library, the Open Greek and Latin project and the work of many digital classicists over the years committed to producing openly-licensed material. The code we are developing will, appropriately, also be released under an open source license and an important goal is to build a sustainable community around the code base for the future of philology and historical languages, not just Latin and Greek but well beyond. This introductory post is the first in a series of blog posts about the project. The next post will provide an architectural overview of what we’re building (and building on) and then subsequent posts will dive into some of the really fascinating technical challenges we’ve faced. We’ll be covering technologies from XML to Django to Vue.js to Elastic Search and more. So join us over the next five weeks!